Drei Hot Toys Rogue One Neuankündigungen! 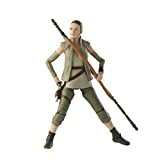 Im Laufe der letzten Stunden wurden gleich drei neue Hot Toys Rogue One Figuren vorgestellt. 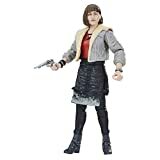 Genauer genommen sind es zwei Figuren und ein Collectible Figure Set. Der chinesische Hersteller hat heute, wahrscheinlich im Zuge des jüngst vorgestellten finalen Trailers, drei weitere Neuankündigungen präsentiert. Die drei neuen Hot Toys Rogue One Collectibles sind ein Stormtrooper, ein Stormtrooper Jedha Patrol (TK-14057) und ein Stormtroopers Collectible Figures Set. 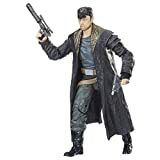 Das Set enthält beide Einzelfiguren und zusätzlich einen schweren T-21 Blaster und ein schwarzes Schulterstück. Hier nun alle Bilder und die dazugehörigen Pressetexte. Das Zubehör könnt ihr dem jeweiligen letzten Bild jeder Galerie entnehmen. Zu Preisen und voraussichtlichen Erscheinungsterminen ist bis dato noch nichts bekannt. The anticipation to the latest entry to the Star Wars galaxy, Rogue One: A Star Wars Story, is continuing to rise as we are just few short months away from the release of this epic Star Wars film this December! See how the story will unfold as a group of unlikely heroes band together on a mission to steal the plans to the Death Star – the Empire’s ultimate weapon of destruction during a time of conflict in a galaxy far far away…. Following the first wave of Hot Toys‘ incredible Rogue One: A Star Wars Story series 1/6th scale collectible figures, today we are excited to officially present the new 1/6th scale collectible figure of the Empire’s great army force – the Stormtrooper! 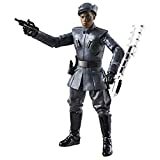 The highly accurate collectible figure is specially crafted based on the image of an Imperial Stormtrooper in Rogue One: A Star Wars Story. 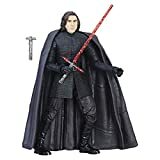 It features a completely new designed Stormtrooper helmet and armor, newly developed multi textured fabric under-suit, finely crafted weapon, and a specially designed figure stand! 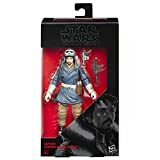 Your Rogue One: A Star Wars Story collection will not be complete unless you have this fans‘ favorite masked enforcer of the Empire in your display! The anticipation to the latest entry to the Star Wars galaxy, Rogue One: A Star Wars Story, is continuing to rise as we are just few short months away from the release of this epic Star Wars film this December! Fans will witness the incredible journey of a group of unlikely heroes band together on a mission to steal the plans to the Death Star – the Empire’s ultimate weapon of destruction during a time of conflict in a galaxy far far away…. Following the first wave of Hot Toys’ astonishing 1/6th scale collectible figures based on this new film, we are excited to officially introduce the new 1/6th scale Stormtrooper Jedha Patrol (TK-14057) collectible figure! 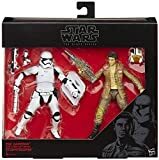 The highly accurate collectible figure is specially crafted based on the image of a special Stormtrooper with unique equipment patrolling the streets of planet Jedha in Rogue One: A Star Wars Story. It features the completely new Stormtrooper helmet and armor with weathering effects, newly developed fabric under-suit, an all-new and meticulously designed backpack, an orange colored pauldron, detailed weapon and accessories, and a specially designed figure stand! Continue to #GoRogue and expand your Rogue One: A Star Wars Story collection with this new and unique Stormtrooper Jedha Patrol (TK-14057) 1/6th scale collectible figure! As a prelude to Star Wars: Episode IV – A New Hope, the upcoming Rogue One: A Star Wars Story is set to bring us back to the heyday of the Empire as it eyes the construction of the Death Star to perpetuate its tyranny over the galaxy. Today, Hot Toys is delighted to present a special Stormtroopers collectible set featuring the new 1/6th scale collectible figures of the Stormtrooper Jedha Patrol (TK-14057) and Stormtrooper from this exciting new chapter! 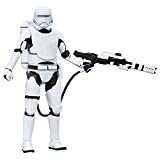 The highly accurate collectible figure of the Stormtrooper Jedha Patrol (TK-14057) is specially crafted based on the image of a special Stormtrooper with unique equipment patrolling the streets of planet Jedha in Rogue One: A Star Wars Story. It features the completely new Stormtrooper helmet and armor with weathering effects, newly developed fabric under-suit, an all-new and meticulously designed backpack, an orange colored pauldron, detailed weapon and accessories, and a specially designed figure stand. The highly accurate collectible figure of the Stormtrooper is specially crafted based on the image of an Imperial Stormtrooper in Rogue One: A Star Wars Story featuring a completely new designed Stormtrooper helmet and armor, newly developed multi textured fabric under-suit, finely crafted weapon, and a specially designed figure stand. In addition, this collectible set will include an additional T-21 heavy blaster and a black-colored pauldron as bonus accessories. Whether you side with the Empire or not, you’ll want these iconic soldiers at your disposal! 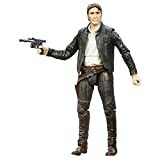 Alle Informationen zu allen bisher veröffentlichten Hot Toys Star Wars 1/6 Figuren findet ihr im Collectors Guide.